TiigerDirect has a Centon 1GB MP3 Player that usually sells for $37.99 now going for only $29.99 ending TODAY. Centon’s Digital Music players are the ultimate portable storage device. With an integrated USB connector you can use the MP3 player as a flash drive & a traveling music player. Listen to hours of your favorite music where ever you go. Easy to use controls make this the choice of avid listeners. Plays multiple formats and bit rates. Plug and play USB 2.0 direct connection is built in. Small size lets you take your music anywhere. Are you looking for the most expensive phone you can possibly buy? Well I don’t know if this is it, but it has to be towards the top of the list. This is the Vertu Signature Model 2006 mobile phone handset. Now that just sounds to me like someone working at a snooty store with things I can’t afford. The Vertu Signature Model 2006 comes in different models (which are basically the colors) and include 18 carat white gold, 18 carat yellow gold, and a few versions of stainless steel. For the athlete in training (or wants to be in training) the Suunto t4 monitors your progress through your heart rate and optional accessories to measure steps, and makes intelligent workout recommendations for frequency, duration and intensity. The Suunto actually makes the recommendations and you can accept them or not, and it continues to change based on the work out you have done and what your heart rate is. If you skip out, this little wrist coach has you make it up, if you work hard, you might get a break next time. 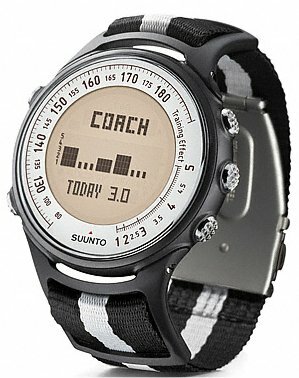 With the Suunto Coach feature, the Suunto t4 generates a five day plan for improving your condition and keep you in shape. It tells you which days to workout with information on duration and intensity. Have you ever wondered just how out of control crazy you went with the last jump, or just how much hang time your buddy actually had when he took a huge jump going to fast when no one was looking? Enter Silva “air time pod” to put these stories into some measurable reality via gadgetry. This gadget designed for use when skiing or snowboarding can actually measure your air time or “hang time” when worn while making the jump. It shows the date, your hang time and the temperature when you did it. The air time pod from Silva will show your last 15 jumps’ air time, and some additional stats including air time by day, total combined air time for the year, temp, time, date and has an alarm. Are you looking for a way to play that extensive media collection laying dormant on your PC? The iZak may just be the device you have been looking for. 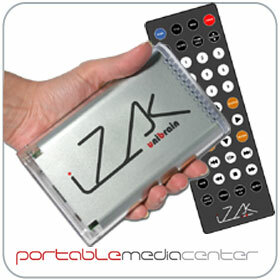 The iZak is a simple to operate portable multimedia player for music, pictures, and video. The device will connect to any PC or Mac via USB-2 allowing you to copy your favorite music, movies, pictures, or data files. Once your data has been transferred to iZak, you can connect it to any TV to watch movies, view photos, or listen to your digital music. The iZak supports any standard display device with an external input. This includes TVs, Video Monitors, Plasmas, video Projectors, and GA monitors. You can watch your favorite films in HDTV quality Video and Dolby Digital or DTS quality Audio. The idea behind the Neuros MPEG-4 Recorder is not a complicated one, and that is what makes this such handy gadget. You can use this device just as you would a VCR, except that instead of recording onto tapes, your record onto digital media (MS Duo / ProDuo, CF and Microdrives) that will run in your mobile device. Normally any television shows or movies you want to watch are subject to what you can download from the internet. 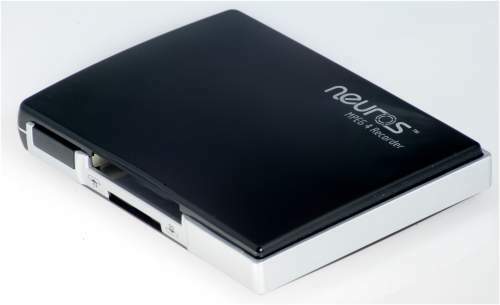 With the Neuros recorder you can set it, without subscription fees, to record any show you want from your cable, satellite or camcorder right onto your memory card. You can then play your video in off of the media card on your portable device, such as your PDA, laptop, PSP, iPOD or smartphone. Microsoft has announced the price and launch date for its Zune digital music player and service. The new player will be available in the US on November 14th and will be priced at $249 (USD). Microsoft also announced that the monthly subscription to its new music service would cost $14.99 or 79 points per track using Microsoft’s point system. 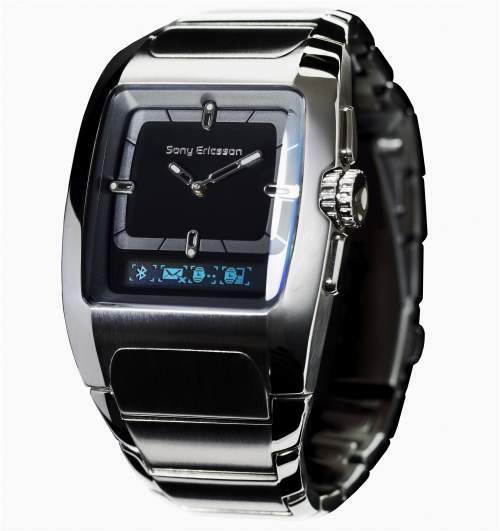 Sony Ericsson and Fossil went in together to make this blue tooth enabled BMW-100, no wait, it was the WMB-100..no the MBW-100 watch. Man did I get that wrong a number of times writing this. 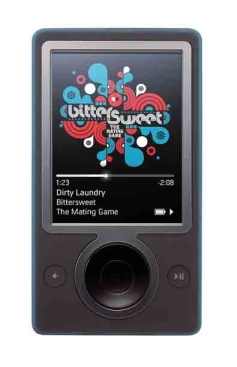 The MBW-100 from Fossil uses Bluetooth wireless connectivity to connect with certain models of Sony Ericsson mobile phones including the Sony Walkmans. 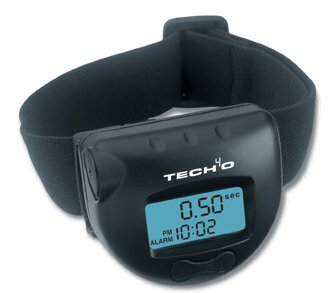 Sure, your watch can tell the time and date, but can it tell you who is calling on your cell phone? 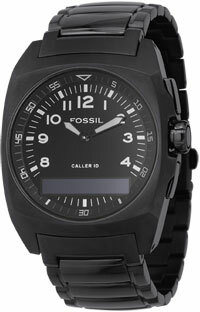 A new line of innovative timepieces from Fossil has been designed to do just that. The new watches will allow users to view incoming caller ID information on the watch face. The Caller ID wristwatch will incorporate Bluetooth wireless technology and simplify how people interact with their mobile phones. The watches are also intended to make a cutting-edge fashion statement, yet be practical with serious functionality which allows users stay connected without compromising style. 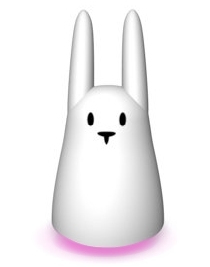 Ahhh, what could be more adorable than a little bunny that reads your email? The Nabaztag is a very curious piece of technology appearing at this week’s DEMOfall 2006 conference. DEMOfall is a showcase of the world’s most promising new technologies and a sneak peek at the future of the technology business. Its ears can spin or move up or down to notify you of incoming e-mail or the rise and fall of stocks. Read email or news headlines aloud by converting the text to speech. Announce the current time or play songs from your digital music collection. Issue a weather report by mean of color lights that glow from inside its belly. Sharp has one up’d themselves since their release of the double view LCD monitor with this new triple view LCD. In case you are not familiar, this is not splitting the screen across multiple monitors. This is one monitor showing three different pictures depending on what angle you are viewing from. 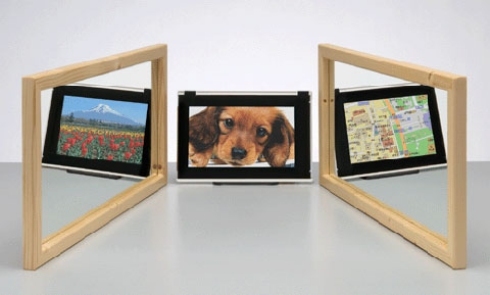 The picture in this post is showing the 3 images of the LCD screen are being shown; from the front, the left and the right. At first, aside from just being kind of cool you might wonder what good this is exactly. I mean, I used multiple monitors for programming and now feel I need them for everything, but I am always looking straight on. 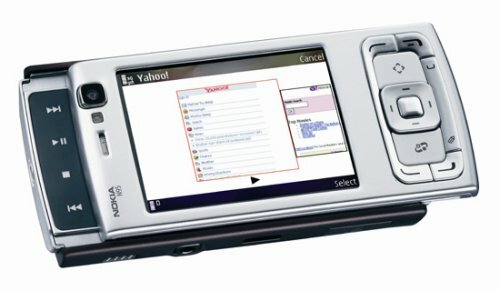 As the smallest of the new “multimedia computers” that have been announced recently by Nokia, the N75 mobile phone does not lack in it’s multimedia features. The N75 has a clam shell design with a pretty slick multimedia interface and screen that is viewable and runs when the device is closed, which makes it real handy to navigate music, pictures and video without having to even open it up. 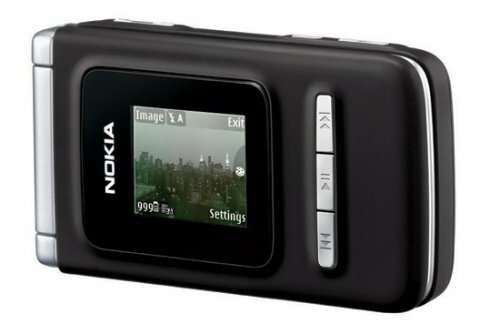 The 2 megapixel camera on the Nokia N75 mobile phone has a dedicated button to allow for quick capture of photos, as well. 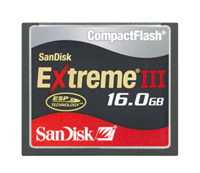 SanDisk Corporation recently announced the 12 and 16GB SanDisk Extreme III CompactFlash cards. This announcement makes these new cards the highest capacity cards in the world. The new large-capacity cards are targeted towards professional photographers who shoot RAW or high-resolution JPG files and need the performance and capacity to capture these massive files. The new cards will have minimum write and read speeds of 20 megabytes per second (MB/sec.). The cards are expected to ship to photo retailers by the end of the year. The announcement was made at the Photokina trade show where SanDisk is demonstrating products in Hall 6, Stand D78/E79. SanDisk Extreme III cards are available in CompactFlash, Memory Stick PRO Duo and SD card formats. Suggested retail prices for the two new capacities are $779.99 (USD) for the 12GB and $1,049.99 for the 16GB model…. Here we go. I like to see a little innovation with some different designs in phones. The clam shell is overdone and the slide is so last month. Nokia has come out with a new multimedia-centric mobile phone called the N95. This phone, although not real large, is not following the slim down trend of many of the other new phones. So what’s the innovation of this phone, you say? It’s the slide. Not only does the Nokia N95 slide open to expose a keypad for dialing, but it slided the opposite direction as well to expose multimedia keys on the other side. Finally a phone that goes both ways. Who would have thought? Black Diamond Advanced Technology has announced the launch of the SwitchBack-PC, the world’s first rugged Ultra Mobile Personal Computer (UMPC). The SwitchBack-PC is designed to meet military requirements for shock, vibration, dust, moisture and extreme temperatures. The SwitchBack-PC has a tidy footprint at 7.5″ x 5.5″ x 2″ and weighs in at a slender three pounds, yet packs the power of a traditional desktop into a portable, rugged, handheld solution. The first rugged UMPC to have a built-in thumb keyboard. Up to 60GB removable hard drive. A 5.6-inch WSVGA sunlight-viewable touchscreen with stylus that can be can be viewed outdoors in all lighting conditions. 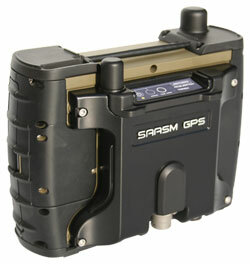 Bluetooth 2.0, WiFi b/g and GPS wireless capabilities.